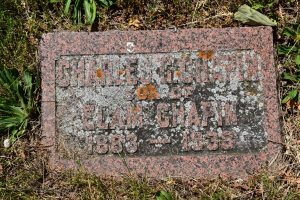 Dr. Charles Garfield Chapin was born near Waterford, Ontario (Norfolk County) on the 21st of March, 1883, the only child of Elam Chapin and the former Mary Amelia McCool. His parents were farmers. Dr. Chapin graduated M.B. from The University of Toronto Faculty of Medicine in 1906. He registered with the College of Physicians and Surgeons on the 27th of June, 1907. 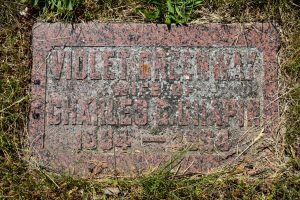 Dr. Chapin married Violet Greenaway on the 8th of August, 1907 in Orillia, Ontario. She was born on the 11th of February, 1884 in the Armour and Ryerson Township of Muskoka, the daughter of James Greenaway and the former Matilda “Linnie” Roadhouse. 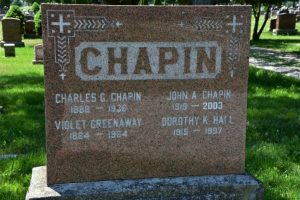 Mrs. Chapin was the youngest of 6 children. Her siblings were; Helen, Emma, Anna, Hannah and Arthur. Her mother died when she was a child. Dr. Chapin practiced medicine in Wallaceburg as early as 1908. His name appears on numerous birth and death records as he tended to his patients not only Wallaceburg, but in Chatham and Dover Townships. Sometime prior to 1910, Dr. and Mrs. Chapin moved to 282 Bain Ave., in Toronto. There first child, a son, was still born on the 8th of October, 1910. Their daughter, Margaret Amelia Evangeline Chapin was born on the 14th of July, 1912, but sadly she died less than 2 weeks later of pneumonia on the 22nd of July, 1912. According to the 1921 census, Dr. and Mrs. Chapin were living at 2 Tennis Court in Toronto and they were the parents of 3 children; Garfield, Anna and John. According to the 1922 Ontario Medical Register, Dr. Chapin’s office was located at 485 Danforth Ave., in Toronto. Dr. Chapin died on the 25th of September, 1938. Mrs. Chapin died on the 16th of October, 1964. They are buried at Greenwood Cemetery in Waterford (Norfolk County). Also at the same plot are Dr. Chapin’s parents.